BBM used to be the best messenger after 2go before whatsapp came to hijacks the spotlight from all these messenger. Back then BBM users used BBM1, BBM2, and BBM3 to run multiple BBM on BlackBerry which Android users do not have the privilege except with the use of apk app. So, if you are still using BBM and you’d love to use DUAL BBM on a single Android here is a post for you. With the help of BBM for BlackBerry and Android phone you will be able to save more money from making voice calls and texting messages. When you try to install two BBM on a single phone you don’t need to Install BBM apk file except you want to perform some experiment. Here in this post I’ll share with you how to use dual BBM on your smartphone 2017 without the need to download BBM 2 apk or BBM 3 from apk websites. In addition, the BlackBerry messenger you will install to double your BBM on your device reading this is official BBM app for Android phone. BBM is a popular messenger for BB users before it was finally introduced to Android and iOS users. But when Whatsapp came into existence and became popular so many Android users back off from using BBM while some still find the app worth using and in fact, an alternative to whatsapp. However, BBM will soon become popular again among BlackBerry users now that whatsapp has announced to stop support for BB come December 2017. And for this, BB users need to start using dual BBM for keep abreast with their friends and family who they’ll definitely lost contact with on whatsapp messenger. Download and install DUAL BBM for your BB here . It’s apk file though but it works with any brand of BlackBerry, even BB 10. Using dual BBM on Android phone is a bit different from the way you install this duo on BB itself. However, here in this post we’d share with you how to use a popular Android app to install two BBM on your Android phone without itch. Note: You must have BBM installed on your Android phone to use multiple account. So, in this article I assumed you have BBM running on your Android phone already. Download and install ‘parallel space’ Android app on your phone. Parallel space is an Android app to run multiple apps on the same device. Although parallel space is not the only app for doing but it’s the most popular. For some other popular add to run dual app such as dual whatsapp you can refer to app cloner, 2Account, and some apk apps such as ogWhatsapp and gbwhatsapp to run multiple whatsapp on singe Android phone without rooting. I want to believe you know how to install BBM for the first time because the same procedure will be used to put this article into work. Although for Android users you don’t need to download any BBM apk app. Rather, this post would walk you through how to run dual BlackBerry messenger with the offical BB messenger app already installed on your device. Now, launch the installed ‘parallel space‘ Android app and click on ‘add app‘ and select BBM from the list of apps you already installed on your Android and follow the on screen to install second BBM on your device by clicking on ‘add to parallel space‘. See the screenshot illustration below to ease you with the installation. Note that this method rocks. So why not install DUAL BBM now? Hint: Each BBM will have a unique BB PIN. This means that you’ll two different BB PIN, one for each. Launch BBM directly from parallel space and create a new BBM account by filling the information form provided with new information. If you like you can use the same information you used for your old BBM but you must use different email address and click on create account. 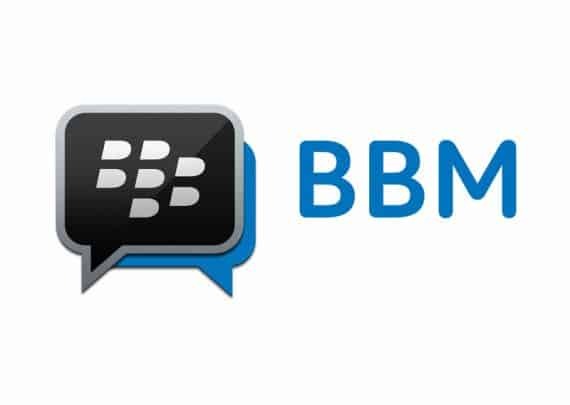 BBM will send a verification code to the phone number you registered with your new account. Kindly copy the code and paste it in the column provided and hits the verify tab. Note: BBM verification is not like whatsapp which is automatic and the sent code is only vaild for 10 minutes from sent time. So you have to click on verification button to make it happen yourself. You can now start adding friends to your new BBM. If you care you may follow BBM instruction to start adding friends to your list from your phone contact by clicking on OK or better still click skip to add them manually and you are good. And now we are good creating dual BBM account on the same phone without BBM1, BBM2, BBM3, BBM4, and BBM5 apk app for Android user. Whenever you want to access this second BBM you will have to launch ‘parallel space app‘ and click through to access it. What’s next? Start flexing with your dual BBM. Please share if you love and enjoy this tutorial with your friends on social media even on your BBM broadcast.